Fifth Annual Epilog Challenge Hosted on Instructables #3dthursday « Adafruit Industries – Makers, hackers, artists, designers and engineers! Epilog Laser Announces Fifth Annual Epilog Challenge Hosted on Instructables. Golden, Colo. (April 15, 2013) Epilog Laser is excited to announce the Epilog Challenge contest is back for round five, and will be hosted on Instructables.com. “Epilog Challenge V” opens today and runs through July 15, 2013. 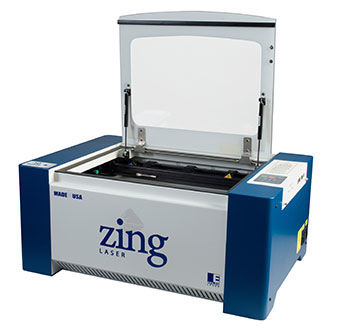 The lucky grand prize winner will receive a 30-watt Zing 16 Laser from Epilog. Previous Epilog Challenge winners include the DIY High-Speed Book Scanner, the 8x8x8 Animated LED Cube, Arduino Powered Chess Playing Robot, and most recently, Build a Laser 3D Printer – Stereolithography at Home.